Soloerno Blood Orange Liqueur seduces the soft notes of ginger and honey found in Perucchi Dry White Vermouth. 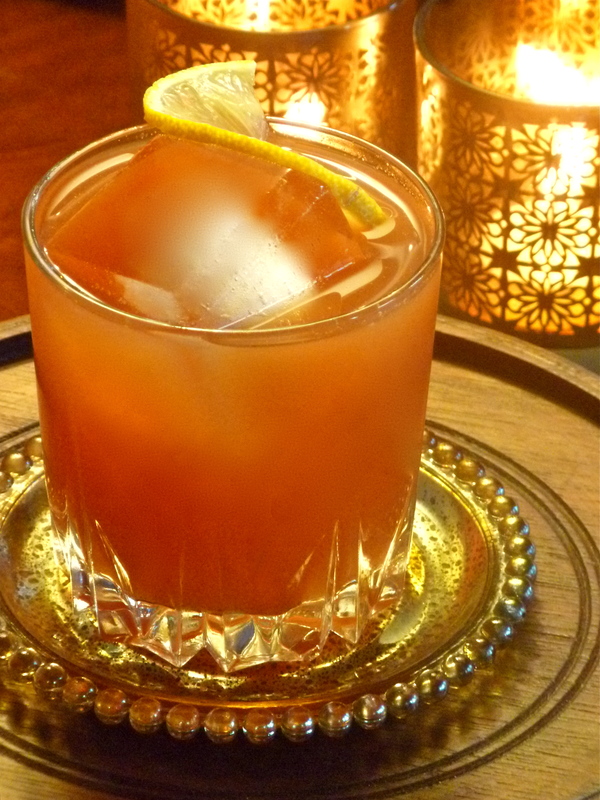 The Sicilian is then laced with fresh blood orange juice that takes you to exotic places when infused with coriander seeds adding a semi-sweet, warm, caraway, lemon peppery spiced experience. Combine all ingredients with ice in a beaker. Stir well. Fine strain into a rocks glass over ice. Garnish with a lemon slice. Lightly muddle two heaping tablespoons of coriander seeds. Put coriander seed into a small sauce pan. Turn on heat and let seeds warm up for a minute. Add all other ingredients. Let simmer for ten minutes. Remove from heat and place in an airtight container. Once cooled, place in the refrigerator for 48 hours. Fine strain syrup making sure to capture all of the coriander seeds and funnel into another airtight container. Keep refrigerated.